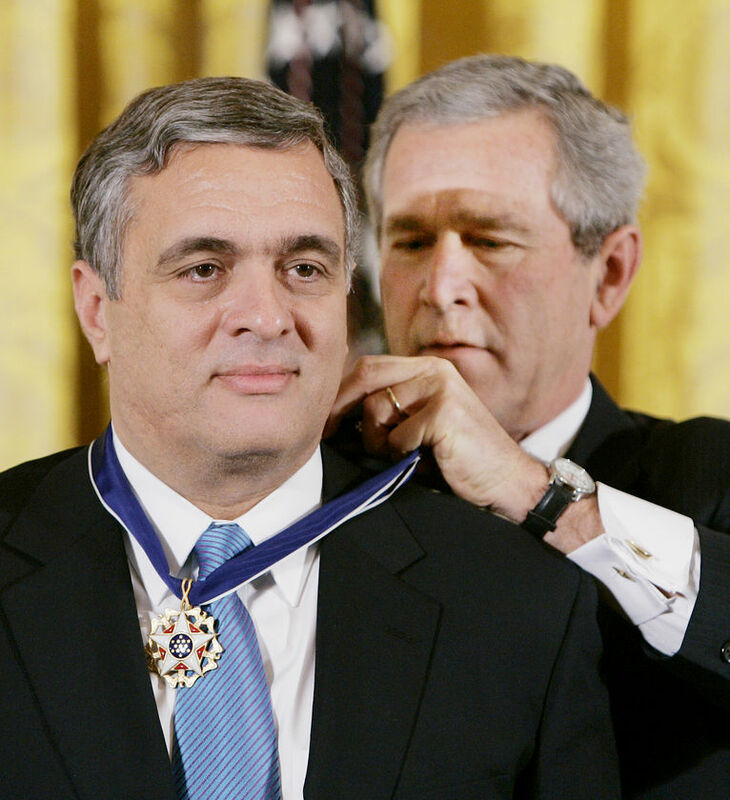 After becoming Director of the CIA (DCI) in 1997, George Tenet did what Louis Freeh had done after his appointment as FBI Director. He began to cultivate close personal relationships with the rulers of Saudi Arabia. Like Freeh, Tenet grew especially close to Prince Bandar, the Saudi ambassador to the United States. Bandar and Tenet often met at Bandar’s home near Washington yet Tenet did not share information from those meetings with his own officers who were handling Saudi issues at the Agency. The CIA’s Saudi specialists only learned about Tenet’s dealings with the Saudi authorities inadvertently, through their Saudi contacts. It seems that Tenet was operating within a network that surpassed the interests of the American public. Therefore the unsolved crimes of 9/11, attributed largely to young men from Saudi Arabia, should be considered in light of Tenet’s actions. As Deputy Director for the CIA, in 1996, Tenet had worked to install one of his closest friends and confidants, John Brennan, as CIA station chief in Saudi Arabia. Brennan is now the DCI but, in his previous role, Brennan often communicated directly with Tenet, avoiding the usual chain of command. At the time, as an apparent favor to the Saudis, CIA analysts were discouraged from questioning Saudi relationship to Arab extremists. The Safari Club resulted from an agreement between Saudi Arabian intelligence chief Kamal Adham, Anwar Sadat of Egypt, the Shah of Iran, and French intelligence director Alexandre de Marenches. The BCCI network grew, with the blessing of DCI George H.W. Bush, through the guidance of the Safari Club, which needed a network of banks to help fund proxy operations, including off-the-books operations required by the CIA. This private network was utilized in the arming of the Mujahideen, the precursor to al Qaeda. The U.S. aid to the Mujahideen did not officially start until 1980 but went on for many years under the name Operation Cyclone. This operation relied heavily on using the Pakistani ISI as an intermediary for funds and weapons distribution, military training, and financial support. Evidence suggests that covert U.S. support for a “CIA within a CIA” existed twenty years later, when Tenet began leading the CIA, and that terrorist operations were among those that were funded. That possibility underscores the failure of George Tenet’s leadership of the CIA as the Agency failed miserably to detect and prevent al Qaeda terrorism. This failure might make more sense in light of British Foreign Secretary Robin Cook’s claim that al Qaeda was not originally a terrorist group but a database of operatives used by the CIA. In any case, it was almost as if Tenet wanted al Qaeda to not only remain viable, but to be seen as an ever-looming threat. For example, in February 1998, Al Qaeda made public its second fatwah, repeating its declaration of holy war against the United States and its allies. It included the signatures of Osama bin Laden and Ayman al-Zawahiri, head of the Jihad Group in Egypt. What did George Tenet’s CIA do in response? According to CIA officer Michael Scheuer, “The Agency’s Bin Laden unit was ordered disbanded” in April 1998. Although Tenet rescinded the order later, Scheuer commented that “the on-again, off-again signals about the unit’s future status made for confusion, distraction, and much job-hunting in the last few weeks” before the embassy attacks. In May 1998, Tenet traveled to Saudi Arabia to meet with Saudi Crown Prince Abdullah. Tenet and Abdullah made a secret agreement that Bin Laden, if captured, would not be given to the U.S. for trial but instead given to the Saudis. Recommending that the Saudis bribe the Taliban to turn Bin Laden over, Tenet canceled the CIA’s own operation to get Bin Laden. Michael Scheuer claimed that, between May 1998 and May 1999, U.S. leaders passed up ten opportunities to capture Bin Laden. According to Scheuer, it was George Tenet and his deputies who rejected the proposals. Apparently two declarations of holy war by al Qaeda were not enough to compel George Tenet to increase his agency’s focus on Bin Laden. Not only that, Tenet seemed to intentionally back off pursuing Bin laden in 1998 and 1999, obstructing U.S. attempts to capture al Qaeda’s leader. Although meetings were held, Tenet did not attend them and his deputy went only once. The meetings were attended by few if any officers from other agencies and quickly stopped addressing the fight against al Qaeda. No other plan was made at the CIA or elsewhere in the U.S. intelligence community, as a result of this declaration of war by Tenet, to defeat al Qaeda. Behind the scenes, Tenet’s lack of action suggested that he was also unconcerned. An example was given in March 1999 when German intelligence provided to the CIA the mobile phone number and first name of one of the alleged 9/11 hijackers—Marwan Al-Shehhi. The CIA did nothing with the information. Although Tenet later dismissed its importance, others said that the number could have been easily traced, leading to the capture of Al-Shehhi. The links between al Qaeda and the United Arab Emirates (UAE) were far greater, however. These included that the alleged plot architect Khalid Sheik Mohammed (KSM) was said to be living in Sharjah, UAE as of 1999. Sharjah was reportedly a major center of al Qaeda activity at the time. One of the alleged hijackers, Fayez Ahmed Banihammad, was from Sharjah, as was alleged plot financier Mustafa Ahmed Al-Hawsawi. All of the alleged 9/11 hijackers traveled through the UAE on their way to the United States, other than Mohamed Atta, Nawaf Al-Hazmi and Khalid Al-Mihdhar, the latter of whom was said to be the one to facilitate the travel of the others. Accused hijacker pilot Ziad Jarrah was detained and questioned in January 2000 at Dubai Airport. However, CIA and UAE officials failed to warn German intelligence about Jarrah, who traveled on to Hamburg. Overall, the lack of communication and action taken by DCI Tenet regarding the men who would be accused of perpetrating the 9/11attacks was reflective of the same attitude exhibited by FBI Director Louis Freeh. With the strong ties between Tenet’s good friend Clarke and the UAE, it would seem that much could have been done to stop the 9/11 attacks long before they happened. Perhaps coincidentally, the CIA’s tracking of two 9/11 suspects who did not travel to the U.S. through the UAE has been reported extensively. This began with the monitoring of a January 2000 meeting in Malaysia attended by KSM and several other alleged al Qaeda leaders. The meeting included the two alleged 9/11 hijackers Khalid Al-Mihdhar and Nawaf Al-Hazmi. These are the two suspects who Tenet claimed the CIA had been looking for only in the few weeks before 9/11. The CIA must not have been looking too hard because when the two suspects came to the U.S., they lived in San Diego with an FBI asset. With regard to the CIA’s failed communications prior to 9/11, author Kevin Fenton lets Tenet off the hook, saying that there is “no evidence of [Tenet] doing anything intentionally wrong before the attacks. Fenton acknowledges that Tenet lied extensively in testimony to the Joint Congressional Inquiry, and that he gave “a string of evasive answers” to the 9/11 Commission. Yet Fenton’s premise is that low-level CIA and FBI officers kept a secret plan [the hiding of evidence about the two suspects] from their superiors. The facts, however, suggest that high-level CIA leadership was behind the orders to hide the evidence about Al-Mihdhar and Al-Hazmi. Examples include the failure of the CIA station in Bangkok to communicate that the two suspects had left Thailand for the U.S., and the order referenced by the CIA station chief in Kuala Lumpur when he said that he was not supposed to show certain photographs related to the men. Although that order was disobeyed, and the surveillance photos of the Malaysia meeting were shared with FBI officers, such an order to a CIA station chief could not have come from low-level officers. Control of multiple CIA stations could only come from the top. Despite this apparent threat, Tenet had not ordered a National Intelligence Estimate on terrorism in his entire tenure, the last one having been produced in 1997. According to the 9/11 Commission, Tenet finally recognized this need and charged the CIA’s Counter Terrorism Center with making a strategic assessment. But as with so many other coincidences, the person who was to lead the assessment didn’t start work until the day before 9/11. U.S. intelligence officers later said they were told to back-off investigation of Bin Laden and the Saudis. After the Bush Administration took over in January 2001, there was a “major policy shift” at the National Security Agency in that OBL could still be investigated, but they could not look at where he got his money. Adding to suspicions about Tenet are the mysterious links between Tenet’s mentor, David Boren, and training for the alleged hijackers. Currently the co-chair of President Obama’s Intelligence Advisory Board, Boren is the long-time president of the University of Oklahoma, which has its own airport. In the years before 9/11, the FBI came to the airport several times to talk to people there about the training of terrorism suspects. It was later learned that the university airport was where Zacarias Moussaoui trained to fly, and that Mohamed Atta and other alleged hijackers had called, emailed and visited the airport in the two years before 9/11. These clues were ignored as Tenet refused to cooperate with the official investigations into the events of 9/11 and as he lied to representatives of the U.S. Congress. Tenet lied to the 9/11 Commission about having met with President Bush in the month before the attacks. He lied under oath about CIA foreknowledge of the alleged hijackers, and he lied to the 9/11 Commission by failing to tell them about torture videos that his subordinates later destroyed. The facts show that, as DCI from 1997 to 2004, Tenet was responsible for an agency that had, at the very least, failed miserably to perform its duties related to counterterrorism. Overall the evidence suggests that, as with Louis Freeh and the FBI, some of those failures were intentional. Concerns that Tenet and Freeh had developed secret paths of communication with Saudi authorities, and that they might have disrupted plans to capture or investigate al Qaeda suspects, were never addressed. Therefore, an ongoing investigation into 9/11 should include George Tenet and his actions leading up to the attacks.